The Verizon IndyCar Series season kicks off this weekend, running the Firestone Grand Prix of St. Petersburg on the Florida streets. 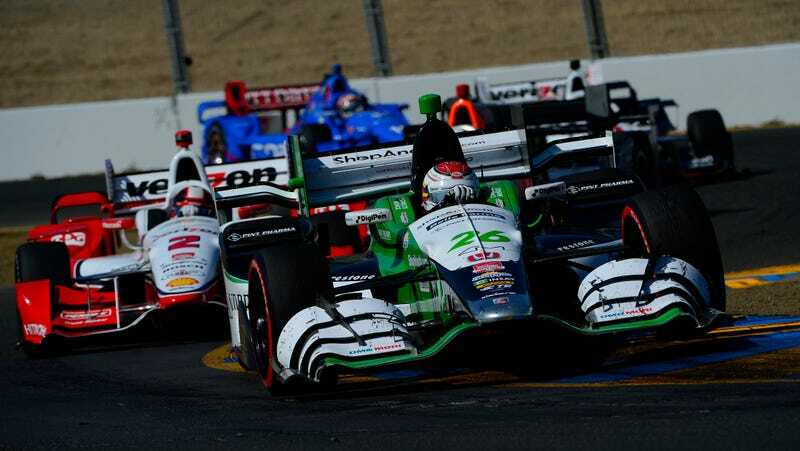 This year’s IndyCar season will be a full five weeks longer than the last, and the series added new events in Phoenix, Boston, and at Road America in Wisconsin. Robby Gordon’s Stadium Super Trucks will also headline with IndyCar this weekend. While IndyCar is in Florida, NASCAR is out west for a few weeks. The Sprint Cup Series and Xfinity Series will be at Phoenix International Raceway, a one-mile oval in Avondale, Arizona. Perhaps the most entertaining thing to come from the track in recent history is the Jeff Gordon-Clint Bowyer scuffle of 2012, when Bowyer ran across the garage at unexplainable speeds in order to join the fight. Also on the list of live races this weekend are Monster Energy Supercross and the FIA Formula E Championship. Supercross continues its season in Canada on Saturday night, while Formula E will be in Mexico City. Fox Sports 2 will carry Formula E coverage on Saturday, and the series also has a live stream. Hopping on the stream bus will be Formula Drift Japan, with a stream located here. On tape delay this weekend will be the Lucas Oil American Sprint Car Series, Lucas Oil Modified Series, Lucas Oil Late Model Dirt Series, Lucas Oil Off-Road Racing Series, Pirelli World Challenge, FIA World Rally Championship, AMSOIL Arenacross, Monster Jam and FIM Motocross. Included in those delayed showings will be the Pirelli World Challenge season opener from last weekend, a two-round event at Circuit of the Americas. The series brought rolling starts to its premier GT/GTA/GT Cup group after a few issues with standing starts last season, and the second round of the weekend saw a huge crash by Patrick Long on the start.